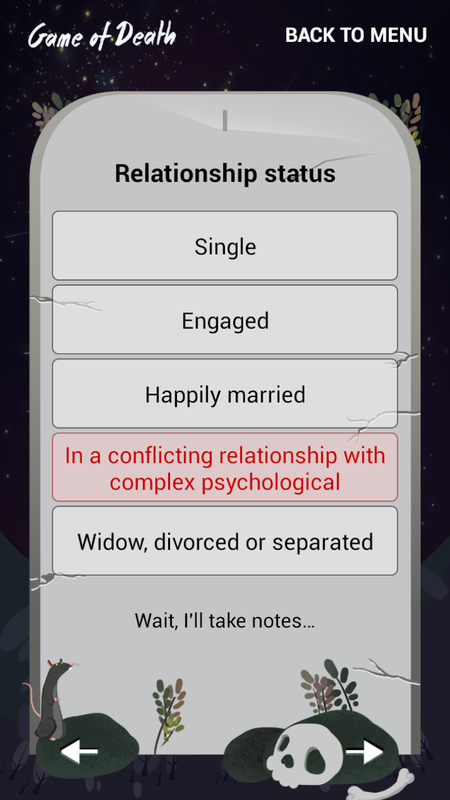 Who wouldn’t love to know in advance the exact date of his or her death? The app Game of Death (G.o.D. 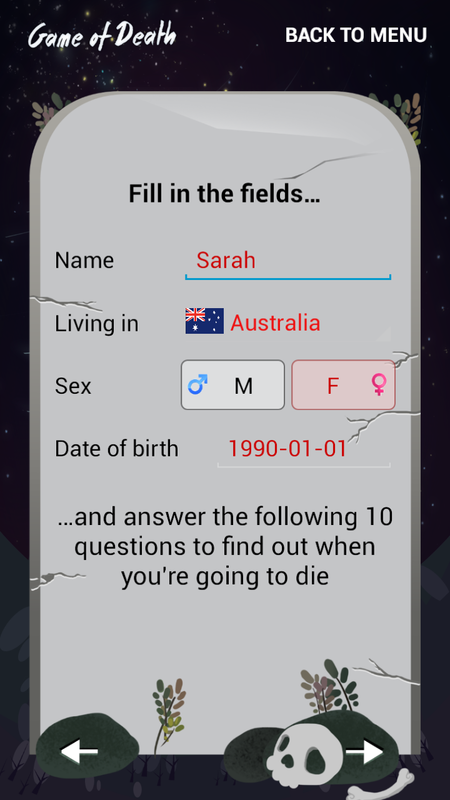 – Your Death Clock) answers this question. 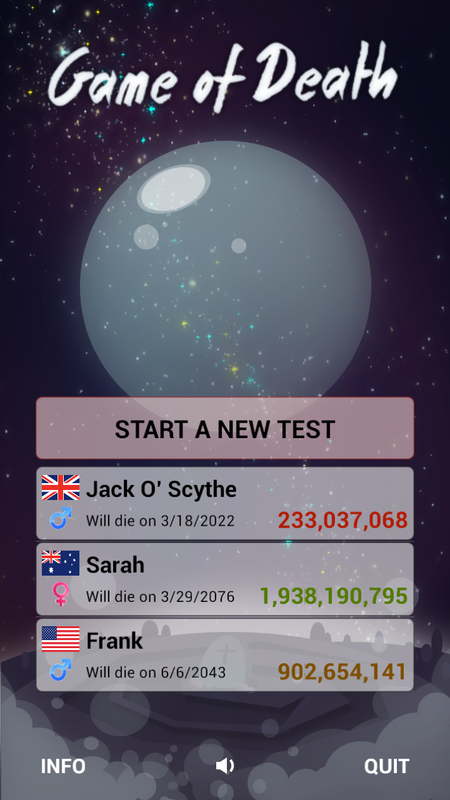 Despite its nature of a simple game, this app calculates the date of your death based on official statistics regarding life expectancy and the answers you give. Answer a few simple questions about your lifestyle to know how many days you have ahead and how your earthly existence will end. Download it from Google PlayStore. compare your results with other people: who, among your friends and beloved ones, is going to leave this planet first? share the result on social networks, so that your acquaintances will be prepared for the unhappy event. If you think about it, life is just a game where the one to win is always the guy with the scythe. 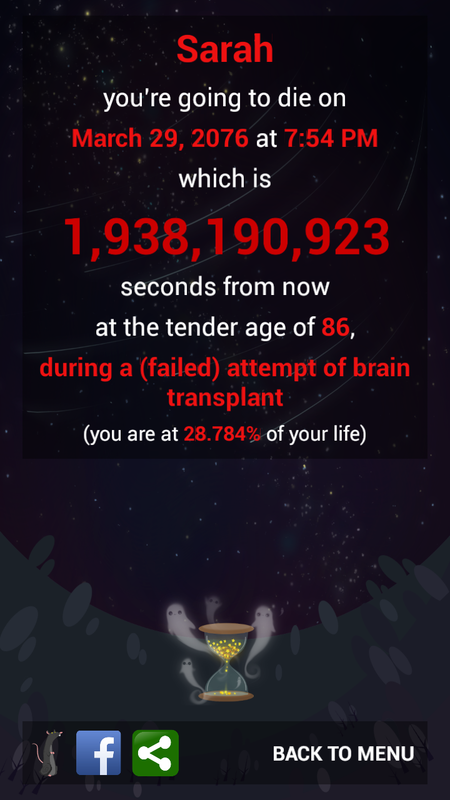 Have fun and a long life everyone.